Doctors usually recommend an MRI, CT scan or X-ray to individuals who have suffered an on-the-field collision, a fall or some other traumatic blow. These are the very tests recommend by doctors in order to determine any internal damage. This same principle is now being used in a more powerful form by researchers at the National Institute of Standards and Technology (NIST) in order to detect corrosion, the primary danger threatening the health of the steel framework within the nation's roads, bridges and other aging physical infrastructure. These researchers have developed a noninvasive "spectral fingerprint" technique capable of revealing the corrosion of concrete-encased steel before it causes any major degradation of the structure it supports. A recent paper in the journal Applied Magnetic Resonance describes this detection method. Different iron oxide products are produced when oxygen and water corrode iron. The two most common products produced are hematite and goethite. 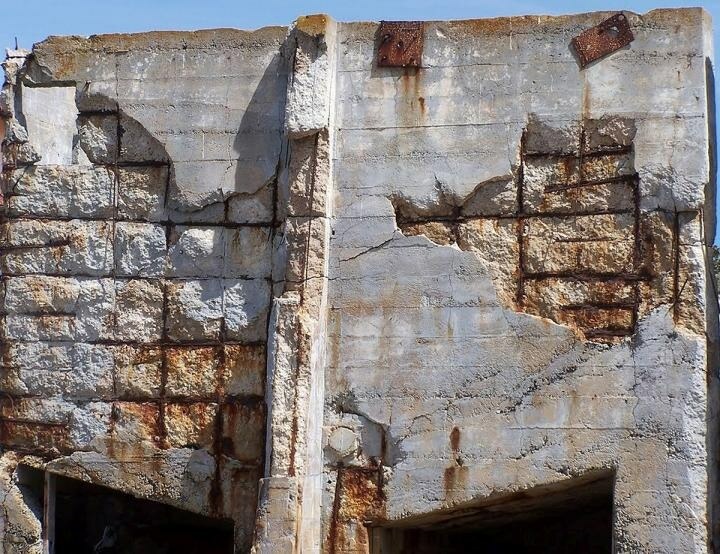 "The brown rust that forms when you leave a hammer out in the rain is mostly goethite, and when a steel reinforcing bar [rebar] corrodes inside a concrete bridge deck, that is mostly hematite," said NIST physical chemist Dave Plusquellic. "We have shown in our new study with goethite, and our previous work with hematite (link is external), that terahertz radiation--electromagnetic waves with frequencies 10 to 100 times higher than the microwaves used to cook food--can detect both corrosion products in the early stages of formation." Microwaves are used by the current imaging methods for uncovering corrosion in order to record changes in the physical state of the affected steel. These changes refer to those that occur in thickness of a rebar within the concrete of a bridge or other structure. Unfortunately, by the time such changes are detectable, the corrosive process is already well on its way toward causing cracks in the concrete. Garboczi also stated that most of the microwave imaging methods depend on comparisons with baseline measurements of the steel taken during the construction phase, a practice that only goes back about 25 years. "That's a real problem since the average age of the 400,000 steel-reinforced concrete bridges in the United States is 50 years and there is no baseline data available for many of them," he explained. The NIST terahertz wave detection method works because of the fact that hematite and goethite are antiferromagnetic. This highlights the point that the pairs of electrons sitting side-by-side within the iron atoms in these materials spin in opposite directions, thus allowing them to be unaffected by external magnetic fields. In comparison to this, the electrons present in the iron atoms of a household magnet, which is ferromagnetic, spin in the same direction and are either repelled or attracted by external magnetic fields. Terahertz waves will flip the spin alignment of one of the electrons in a pair and get absorbed by hematite or goethite. Using a millimeter wave detector, we discovered that this antiferromagnetic absorption only occurs within narrow frequency ranges in the terahertz region of the electromagnetic spectrum--yielding 'spectral fingerprints' unique to goethite and hematite, and in turn, iron corrosion. With recent developments in terahertz sources and detectors, the new NIST nondestructive evaluation technique is capable of rapidly detecting small amounts of iron-bearing oxides from early-stage corrosion of steel surrounded by concrete, paints, polymer composites (such as pipe insulation in a factory), and various other protective materials. In the laboratory, we have demonstrated that a 2-milliwatt terahertz source can produce waves that detect hematite through 25 millimeters of concrete. Using terahertz sources with powers in the hundreds of milliwatts and state-of-the-art receivers with unprecedented signal-to-noise ratios, we should be able to penetrate 50 millimeters, the thickness of the concrete covering the first layer of rebar used in most steel-reinforced concrete structures. The NIST team next plans to detect a spectral fingerprint for akageneite, an iron corrosion product developed in the presence of chloride ions, which come from sources such as road deicing salt and seawater. "Akageneite can cause problems in steel-reinforced concrete similar to those seen with goethite and hematite," Garboczi said. The antiferromagnetic corrosion detection method was initially conceived in 2009 by the late William Egelhoff, a NIST fellow and pioneer in the field of magnetic materials.